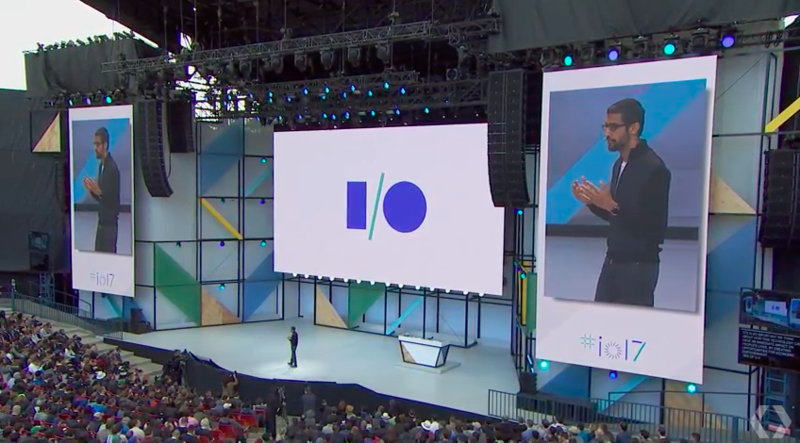 There are no divergent ways that Google I/O conference is one of the most bombarding events for the tech savvy crew. Google releases all its upcoming events, products, new tech, Improvement and updates in the old one in this conference. This conference intends to show a road map of the software and hardware products and accelerates developers hub to push their product release. Well, it’s incredible how consumers also participate enthusiastically and hence, Google always comes up with announcements which keep the excitement level of customers maintained. Let’s have a look at what Google has this year for us. Android go is basically new and cheaper version of Android one. Not only the price is less but also works well with less memory, less storage and even less data for running. This version will run even on cheap devices with 512 GB Ram or even lesser than that. It’s still an internal project but still, Google was quite confident to take forward Android Go as a carry forward project of Android One left back in 2014. Do you remember the daydream project announced by Google last year? Google is back this year with an anonymous daydream project but with new partners namely flagship phone of LG and Samsung Galaxy S8 and S8+. Another amazing announcement by Google is that it conjoined with Qualcomm to come up with a standalone virtual reality headset. The base of this project is daydream but here the headset eliminates the need of the smartphone. It’s wireless that is VR headset having positional tracking feature which is AR just like GPS. Say, for example, it can guide you to the specific brand while shopping in a mall. Google has a lot to say about YouTube but the showstopper is 360 degrees YouTube video support through YouTube smart TV app. Stroll around the videos on the big screen with your TV remote only. You can also stream the live event and watch a 360 Degree video on your big TV screen through YouTube app. Android is still the market king and is still a dominating player with more than 2 billion active users. The users use all possible platforms tablets, mobile phones, android TV, android wear devices and any other gadget possible. A huge update to Google assistant, ‘ability to type’. Just type and be right. You can type anything and Google assistant will reply you. Google assistant tied its knot with Google lens. Point your camera lens to anything and type in Google assistant what is this. Google assistant will show the entire description with an image. Turn your camera towards a dog and it will tell you the breed of dog. You can also get any bands name, its songs by just pointing your camera towards the poster. Here comes a big one, point your lens at the login credential of Wi-Fi and your device will get connected to that network automatically. Not just the phone and office, Google is also all set to enter your home. Cell phones converted to smartphones and homes will be converted to smart homes. Google home will remind you, it’s time for office you have to leave by lighting up. Smartness of smart home doesn’t end here, speakers of Google have now connected with Google home and come up with hands-free calling. Ask Google home to make the call and speaker will do it for you. Again a cost saving good news, all the calls within the US are totally free. Google home also come up with a visual response, ask anything and your home with connecting with any visual device like your iPhone, Chromecast or android device and show you the directions through Google maps. Spectacular features are going to be added to Google photos. The first one is suggested sharing, where you have a photo of 3 people then Google will shares you the reminder that you can share the photo with 3 of them. The second feature is shared libraries where there’s an auto-saving feature that collects the photos from specific person or group of persons. say for example the photos of kid will be shared with both mom and dad automatically. The third feature is an intelligent one after you take any photo, Google lens will start its work. It will give a detailed description. It will notify you with where the photo was taken, popular landmarks around it, famous buildings, opening and closing hours of the same and also popular artwork. Here’s an open threat to Siri with Google assistant entering iPhone devices. Google come up with the update that Google assistant will be available to apple users and they can download it from their own apple store itself. Just like there are replies for text messages, now it’s also available for the mail. Google checks out the mail content on IOS or Android Gmail app and suggests an applicable reply for the same. Why Is NDA An Integral Chunk Of Mobile App Development?